Luxurious, modern and sustainable, Hunters Hill is a striking five-bedroom detached house residing in two acres of rural idyll in Farley Green near Albury, Surrey. This one-off, truly unique home has been created and built by developer LEATHWAITE and is due for completion in early summer 2019. Prospective buyers can now register their interest to find out what makes this fabulous EPC A-rated house, with its own swimming pool, stand out from the crowd. It’s not only its exceptionally contemporary bold design that makes Hunters Hill so different. Its 4,900 square feet also include a number of exceptional energy-efficient features that represent a new standard in sustainability for luxury homes. 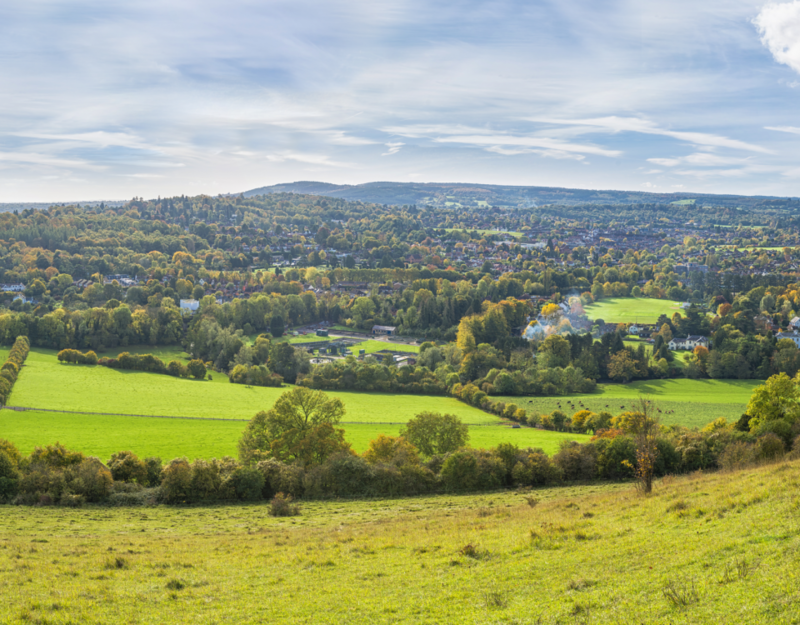 The location of Hunters Hill is also inspiring with enviable views over the rolling North Downs and yet is just five miles from Blackheath, a pretty village situated in Surrey’s heathland, and seven miles from the county’s historic town of Guildford with its excellent schools, retail and leisure amenities. 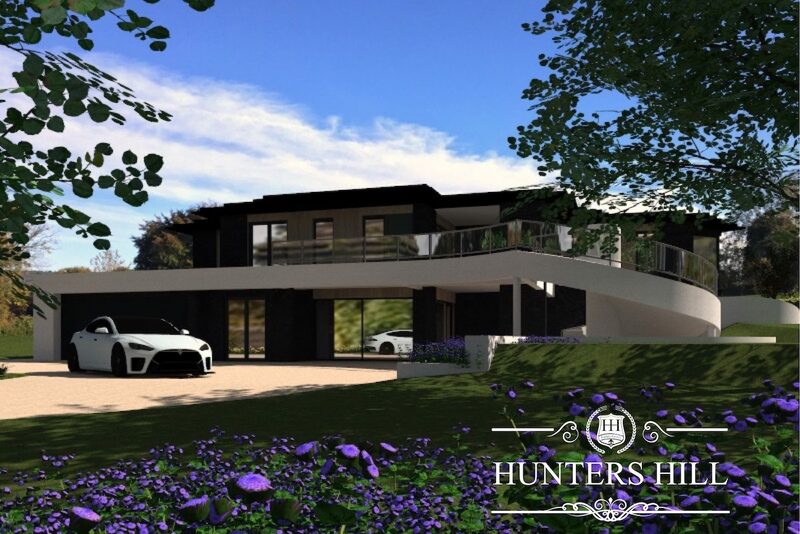 The interior design layout of Hunters Hill is as contemporary as it is sophisticated; the main living accommodation is situated on the first floor, this includes both the kitchen/dining room and living room each with large sliding glass doors accessing adjoining balconies that enable its residents to ‘drink-in’ the beautiful rural views. The first floor also comprises a family room, utility room, cloakroom and one of the five spacious bedrooms; each of which has its own en-suite bathroom or shower room. On the ground floor, the generously proportioned master bedroom suite has walk-in-wardrobes, a bathroom and direct access to an external terrace. There are also three further bedroom suites, along with a study, store and laundry room. An additional living room – also with an external terrace - is a flexible space which could be easily converted into a hobby room or another guest bedroom. The kitchen, utility and laundry room will be fitted with high-specification Poggenpohl cabinetry and Miele appliances, while the bathrooms and shower rooms feature fixtures and fittings from ME by Starck - by renowned designer Philippe Starck. Hunters Hill also has a lift – both a practical and luxurious addition rarely found in new homes – a spacious sun terrace and a double garage. Hunters Hill is priced at £3.4 million.